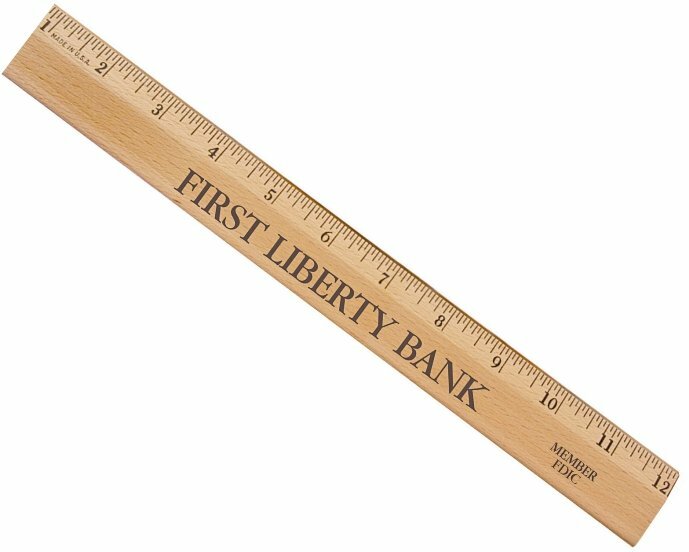 CEO, CFO, any executive would be impressed with the quality and your logo on this fine ruler. printed in the same color as the ad copy, metal ruler edge. Bulk packed in carton. Overall size of the executive ruler is 12" wide x 1 1/4" high x 1/4" thick. Delivery from date of a lacquered ruler order is 2-3 weeks. This promotional ruler is Made in the USA. Price includes a stock font same ad copy up to 11" w x 1/2" h one side.